Showing on the left the "Welcome" (Coffee tavern) built 1893 by John R. Bartlett. It later became a fancy goods shop (Mrs Jane Broadwater c.1903) and then the first sub-branch of Barclays Bank Limited, opened 11 April, 1919. 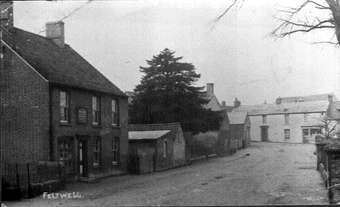 The shop premises on the right was then the Post Office and later became the sub-branch of Lloyds Bank. During WW1 these premises were used as a RAF Sergeants Mess and then a Police Station. It is seen here in its guise as Barclays Bank Limited. 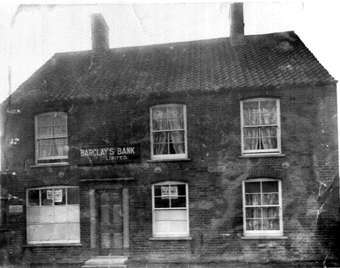 The signs in the window read "Barclays Bank Feltwell, Open on Fridays. The property was owned by Salisbury King Lambert. 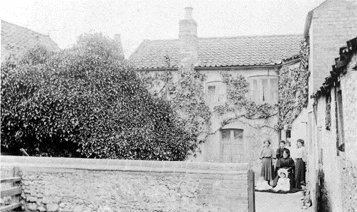 At the junction of Church Street and Hill Street stands this house. It is known as Darby's and details of the people in the photo are still awaited. 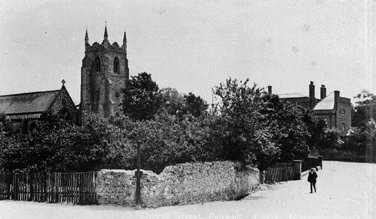 Photo from Mr. T. Llewellyn A view of St. Mary's Church with Feltwell Hall, home of the Newcombe family, behind. The chalk wall and the garden within have now both been replaced by a house. The iron railings around the church grounds are still there. Date unknown but certainly before the car and the telephone. Photo from Mrs J. Secker. 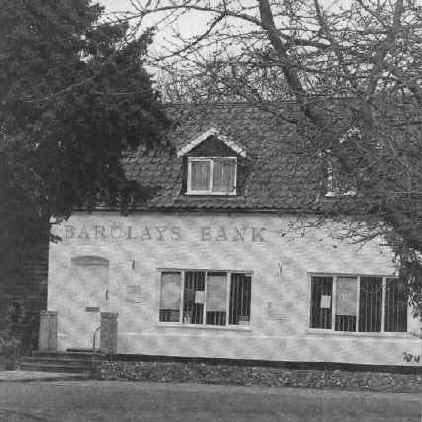 Taken just before Barclays closed the last bank in Feltwell in 2000.